Adorable British tot Iris Grace’s paintings have been compared to the gauzy strokes of Water Lilies painter Monet -- despite the fact that she's only five years-old! 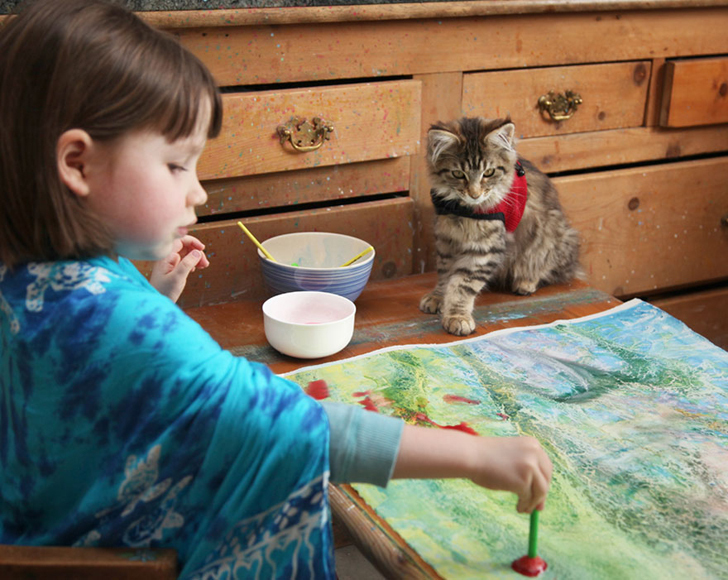 Born with autism, Iris Grace has a highly developed artistic side, with a hyper focus on detail that other children of the same age have yet to master. Although the little painter is just learning to speak, her advanced painting skills have been an incredible outlet that connects her to her parents and the world around her. Although autism has delayed Iris Grace’s speech development, her knack for painting has allowed the five year-old to express herself to the world freely. The little artist paints nearly daily, at home or en plein air in her family’s idyllic yard, with the company of the family cat. With incredible attention to detail and a natural understanding of color, her paintings are echelons above the typical adorable scrawls of a five year-old, instead read as sophisticated color abstractions by a professional artist. Art has helped Iris Grace connect with the world around her. Her autism has made interacting with others difficult, but learning to paint has opened her up, and even helped her sleep better, interact with other children and connect with her parents. Painting is one of the many therapies Iris Grace’s parents are using to help her have a more fulfilling and more enjoyable life, which also includes occupational therapy, speech therapy, yoga and music therapy. Fans of Iris Grace’s beautiful paintings can buy originals or prints, with all proceeds supporting her ongoing therapies to make her the happiest she can be. I love she can express herself so freely. i think i can see cat face...at least eyes and a bit of a nose...? Although autism has delayed Iris Grace’s speech development, her knack for painting has allowed the five year- old to express herself to the world freely. The little artist paints nearly daily, at home or en plein air in her family’s idyllic yard, with the company of the family cat. With incredible attention to detail and a natural understanding of color, her paintings are echelons above the typical adorable scrawls of a five year- old, and instead read as sophisticated color abstractions by a professional artist. 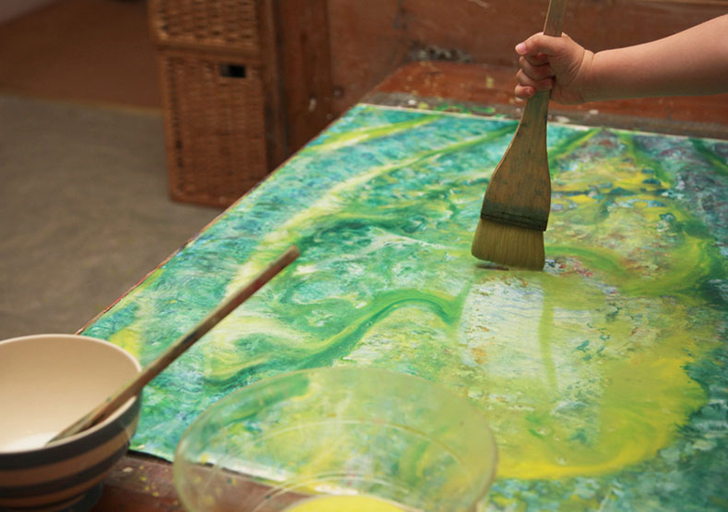 Art has helped Iris Grace connect with the world around her. Her autism has made interacting with others difficult, but learning to paint has opened her up, and even helped her sleep better, interact with other children and connect with her parents. Painting is one of the many therapies Iris Grace’s parents are using to help her have a fulfilling and more enjoyable life, which also includes occupational therapy, speech therapy, yoga and music therapy.